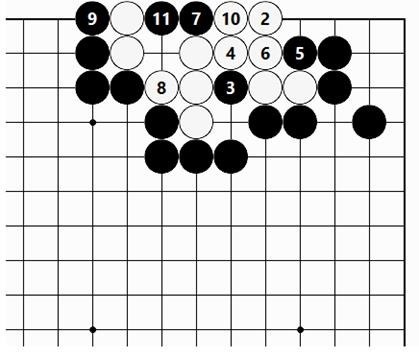 *A problem to be solved without cutting. 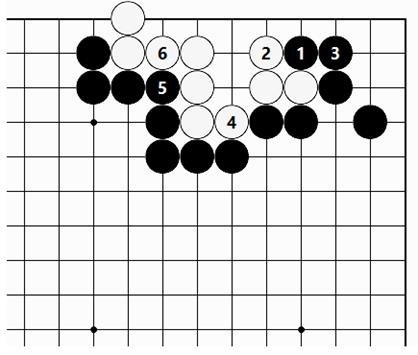 Black 1 is the correct move. 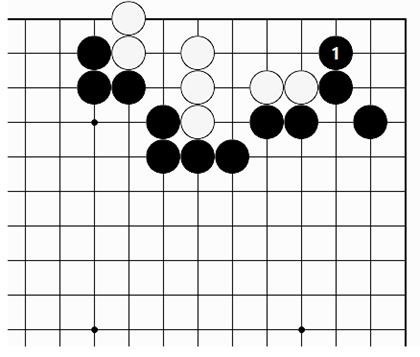 White 2 is answered by the unforked path that Black follows with 3 through 11. 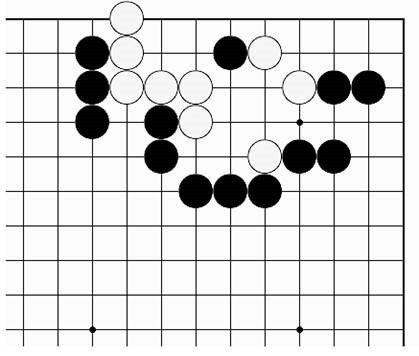 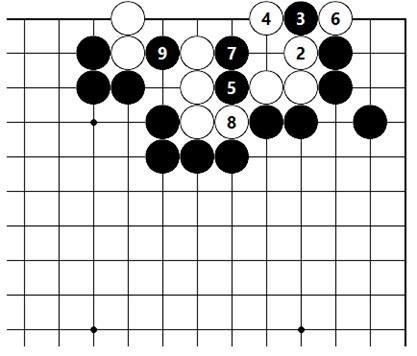 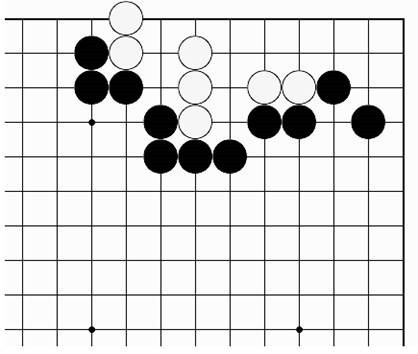 In response to White 2, the hane of Black 3 is good, and even though White can capture at 6, an eye cannot be made in the corner.